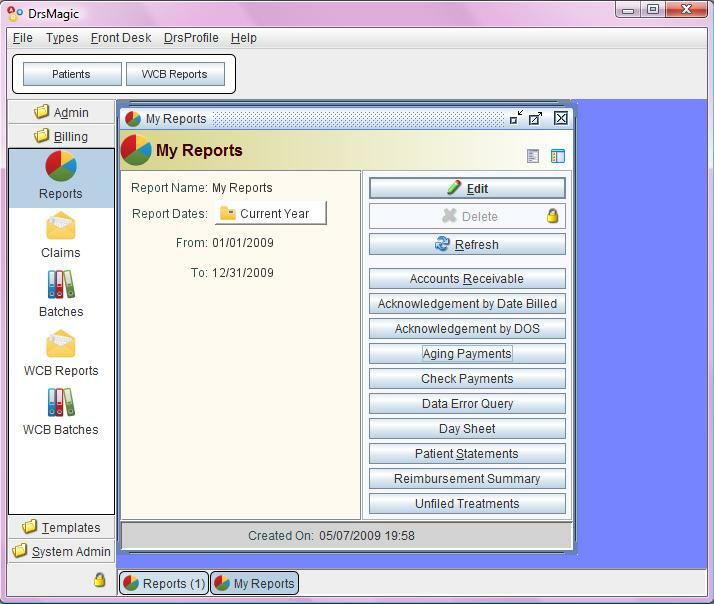 Billing > Reports > "Account Receivable" button will generate reports about all treatments and payments. 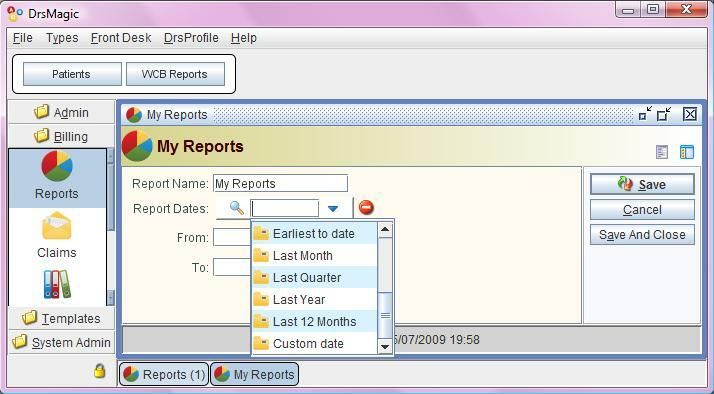 Click "Post Payments" button will list all pending payments. 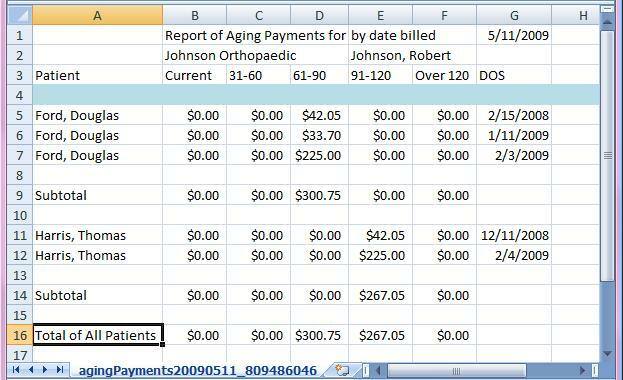 Toggle the "Full Pay" column to "Yes"
or put exact amount in column "Payment" and "Adjustment"
Fast payment posting: the balance of multiple services of the same Bill (CMS1500 Claim, WC Report etc.) are combined. Detailed payment posting: each service balance is listed. 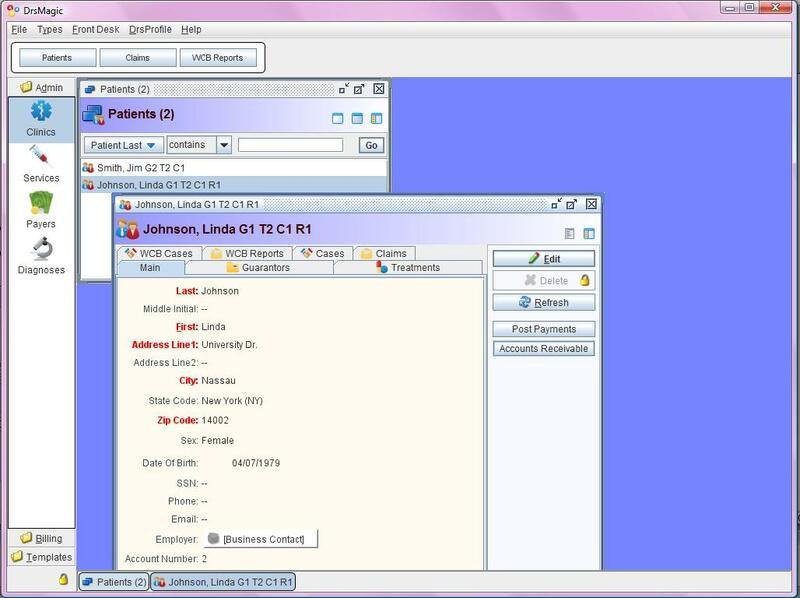 It generates report subtotalled by each patient. 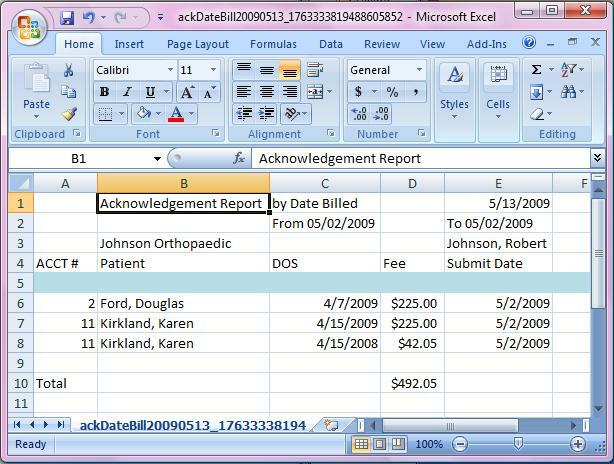 It shows all data when the Payment Posted is during the Date Period selected, subtotalled by each patient. 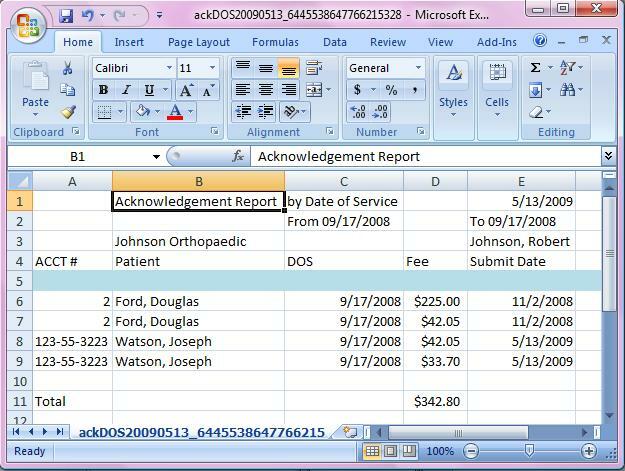 Billing > Reports > "Acknowledgement DOS"
Billing > Reports > "Acknowledgement by Date Billed"